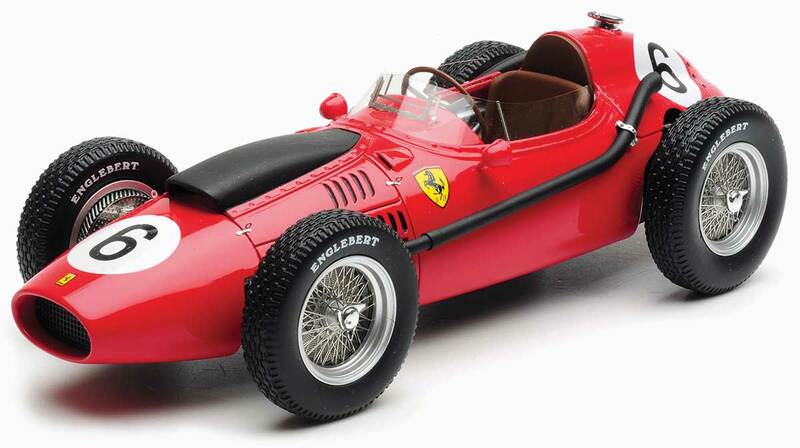 We were thrilled the other day when we were provided with the final pre-production sample of our exclusive 1:18 replica of Mike Hawthorn’s championship winning Ferrari Dino 246 from the 1958 Moroccan Grand Prix, the race at which he became Britain’s first ever Formula One World Champion. It is being made for us by one of the best known makers of 1:18 resin models. More than 10 years ago, Exoto did create a replica of the Dino 246, but they did not produce the championship-winning Hawthorn car. It has never been made before in 1:18. Mike was one of Formula One’s greatest characters. Big, blond and boisterous, he often raced with a broad grin and a bow tie. He partied as hard as he drove, and for 1958 his team-mate was kindred spirit Peter Collins. They had become close friends, both enjoying the finer things in life; prominent among which were wine, women and song. Hawthorn’s 1958 season was blighted at the notorious Nurburgring circuit where he saw his pal’s Ferrari crash with fatal results. The death of Collins left him devastated and disillusioned, and Mike had to be persuaded to complete the season. At the final round in Morocco, Moss and Lewis-Evans led away from the line. Before long Stirling appeared to be in control of the race. By lap eight Hawthorn was running third behind Phil Hill. But Hill stood little chance of passing Moss, and so Ferrari signalled him to allow Hawthorn to pass, which on lap 39 he eventually did. On lap 41, Moss’s team-mate, Lewis-Evans, had an engine failure in a corner. The car went off the road and caught fire. He was able to extricate himself, but despite being airlifted back to Britain by Tony Vandervell he died six days later. Eventually Moss took the victory, a full minute and a half ahead of Hawthorn, but second place was enough to secure the championship for Mike. By now, Mike was engaged to Jean Howarth, a beautiful fashion model. Mike had lost his enthusiasm for racing and so, shortly after the end of the season, he announced his retirement. On 22nd January 1959, just three months into his retirement, Mike died in a car accident on the A3 Guildford Bypass, racing team owner Rob Walker in his Mercedes Gullwing. 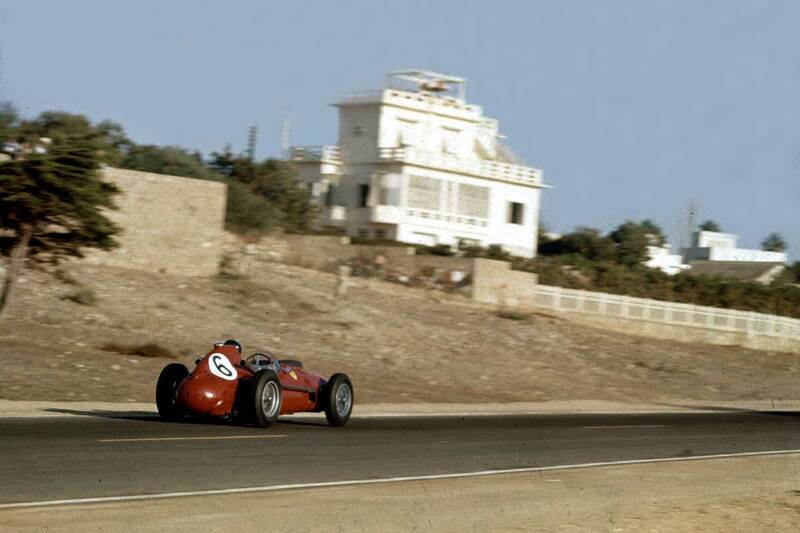 The Dino 246 was introduced for the 1958 season, following a season without a win for the Scuderia. The new regulations limited naturally aspirated engines to 2500 cc. The Vittorio Jano designed car used a Dino inspired 2417cc V6 engine with a 65° angle between the cylinder banks. It produced 275 bhp. It was the first use of a V6 engine in a Formula One car. The 246 was also the last front-engined car to win a Formula One Grand Prix. It was a truly significant car, a beautiful car and a successful one, and we are delighted to have secured the support of one of the model world’s top makers to recreate this replica. We expect to be in a position to supply the car at some point in October, but it will be a limited edition of just 500 pieces worldwide, and we suspect that we may sell out rather quickly. So don’t think about it for too long. You might just miss out.